For those of us who have been lucky enough to enjoy some of those elusive golden rays – from holidaying in the great outdoors to pottering in the garden – we all know we tend to look and feel at our best in the summer. But no sooner are we sun-kissed and radiant… it’s suddenly Autumn…. Yes it’s still about water (yawn) but as you are 70% made of it, it’s too vital to ignore! Drinking plenty of hydrating fluids is key to good health and skin all year round but that’s obvious, right? What you can also do is boost the moisture levels in the upper epidermis where your melanin pigments are stored (aka your tan). Your epidermis will replace itself fully every 30 days or so – so unless you have a time machine, your tan’s gonna fade and go. Dry skin flakes and sheds more rapidly, so binding moisture deep into the skin is certainly of benefit. Face masks are great at this as they are liberally-applied and left longer on the skin. Try masks containing seaweed extracts or blue-green algae such as chlorella – these are claimed to hold moisture in the skin for longer. Another great way to lock in moisture is to start to introduce an oil-based serum – ideally overnight – and/or a rich night cream containing plant oils. The body performs most of its healing and repairs overnight, so applying these to a cleansed, make-up free face (or body) is perfect timing. Being oil-based, they will sit on the skin and effectively act as a springboard to allow the essential vitamins, minerals and/or amino acids contained within it to soak in. The oil itself acts as a temporary barrier to lock the goodies in place for longer. Look out for vitamins E and A as they are fab for skin repair and elastin/collagen renewal. Don’t be afraid of silicones either – the ones used in skin care are polymers derived from Silica and Oxygen and too large to penetrate into the skin. They are, however, excellently effective as launch-pads for ingredient delivery. Green is good. As a general rule, the greener the plant is, the better –and eat it raw. Why? They are densely packed with yummy phytochemicals, namely chlorophyll and vitamins A, C, E and K – essential for skin health, immunity, detoxification and alkalisation/pH-regulation of the blood. Chlorophyll is the bio-chemical compound that makes plants green in colour – and is used to convert sunlight into the energy it needs to grow. Very clever. It also happens to be one of the richest natural sources of magnesium – which regulates melatonin (see later). Kale, spinach, cabbage, watercress and chard are all super options – and if used raw in smoothies or only very lightly steamed or stir-fried, you’ll not alter the essential protein structures that happen on cooking. Grandma’s mushy veggies are a no no. As nature intended is always best. Try to keep including as much time outdoors as you can – or at least sit near a well-lit window if you are, like so many of us, office/indoors-bound. That great yellow orb in the sky has been knocking around from before we were even an eye-twinkle in the primordial soup until well, today. So… it’s become kind of vitally important in the regulation of the entire planet. Not surprisingly, that includes us. When the sunlight hours and quality dip in the autumn and through winter – our melatonin levels naturally rise. The more melatonin we have the more sleep we need – put it this way, in some animals it gets so high, it triggers hibernation. In humans, it wouldn’t be too far wrong to label it a mojo-muffler – and imbalance is actually linked to depression and S.A.D. (seasonal adjustment disorder). Take a tip from Popeye and eat yer spinach, roll yer sleeves up and get some sea air! Another casualty of the falling UVA/UVB levels is Vitamin D. Not surprisingly dubbed the ‘sunshine vitamin’ as it’s produced naturally in the skin on exposure to the sun. As we spend more times indoors and cover up when outdoors, we need to make sure we include sources of this vitamin in our diets instead. Vitamin D is probably best known for being essential in the absorption of calcium – but we’re not just talking healthy bones here. 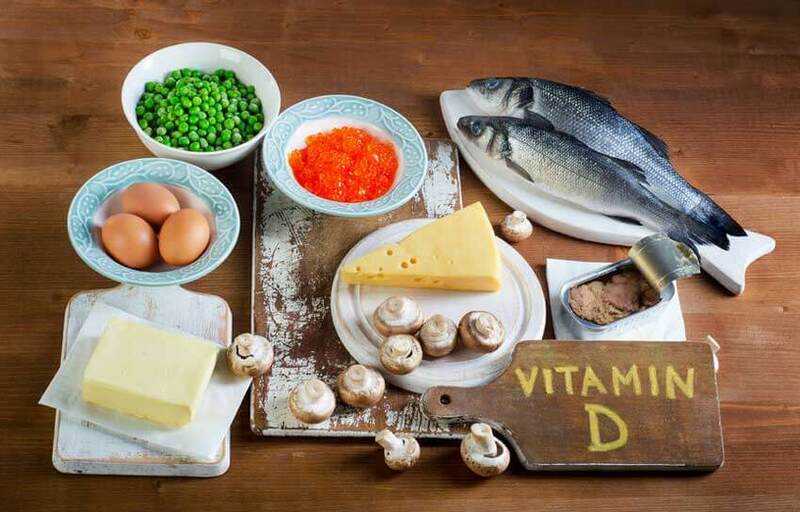 Latest research (medicinenet.com) now suggests vitamin D deficiency is also linked to poor heart health, diabetes, dental cavities, poor immunity, inflammatory diseases and yep – depression. Not worth taking the risk, is it? Your best natural source by far is the oily fish family such as tuna, sardines and salmon – or in cod liver oil taken as a supplement. If you’re not a fish-eater, try fortified soymilk, orange juice and a good vitamin D supplement. And if all else fails? There’s nothing wrong with a touch of bronzing powder, slick of pink lip-gloss and wearing white, is there? What about us I hear you boys say just fake it!